Your child has a choice of having a school lunch or bringing a packed lunch. The majority (currently over 80%) of our children opt for school lunch as do many of the staff! School meals are cooked on the premises by our very experienced catering staff, using fresh ingredients and locally bought products wherever possible. We work hard to ensure that menus are varied and well balanced – our school lunches are very popular! We cater for vegetarians and food allergies. If you wish to provide your child with a packed lunch, we ask that it is well balanced too. We allow only plain drinks and do not allow sweets or chocolate. Children who opt for packed lunch are also given the chance to have a hot lunch on two days of the week. School lunch money, currently £2.30 per day, can be paid in advance either weekly, monthly or half termly by cash, cheque or online. If you wish to change from packed lunch to school lunches, or vice versa, this is best done at the start of a new half term. Please speak to the office if you would like to change your option or you may be charged for a lunch! 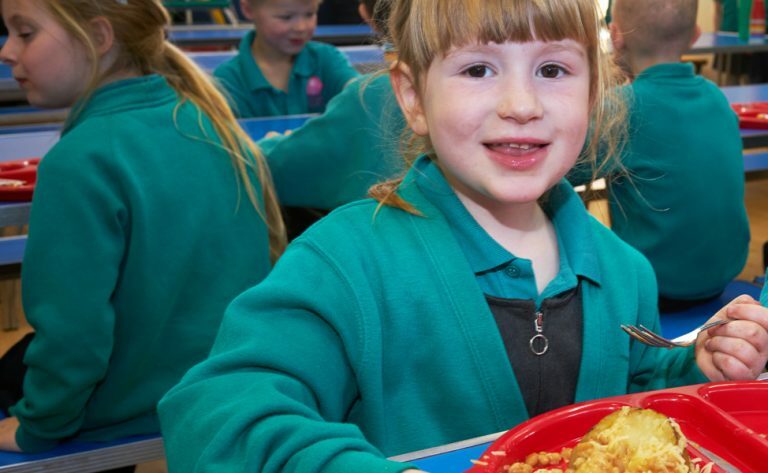 How to apply Visit the Devon County Council website to apply for Free School Meals.